We haven't talked a lot about food and nutrition around Catacombs yet. Not to worry, that time is coming. All the work you do in the gym can easily be undone by poor decisions in the food department. I'll save the soapbox lecture for another day, but suffice it to say that I believe most of what we were taught about nutrition from the USDA is bogus. The mainstream media is starting to catch on to this concept as well, particularly when it comes to how saturated fat has been wrongly vilified over the past 30 years. Check out this very insightful article from the Wall Street Journal on how our country got this so wrong and why we are sicker and fatter as a nation than ever before. 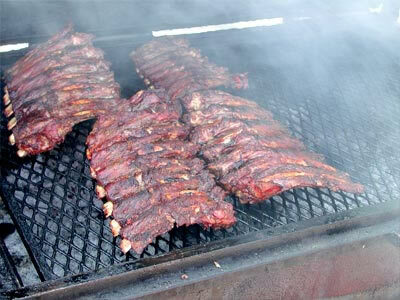 The BBQ sauce on these ribs is the villain here...not the ribs themselves.